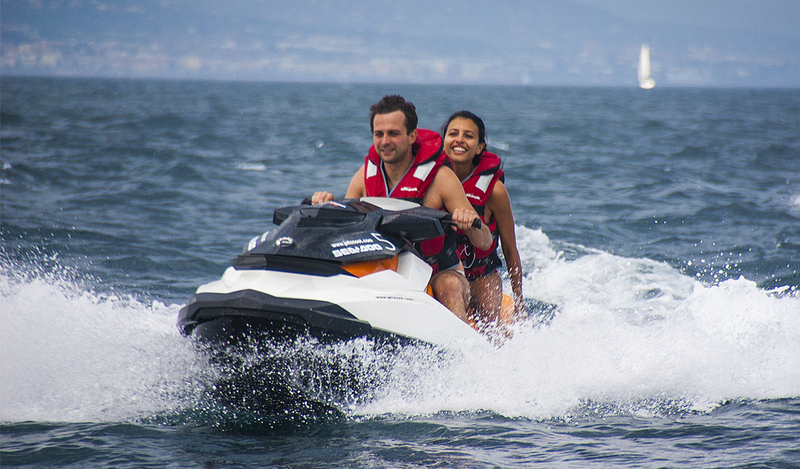 Enjoy a thrilling, fun experience on a Jet Ski in the Port Fòrum. Jet Skis are lightweight watercraft driven by a turbine that propels them forward. 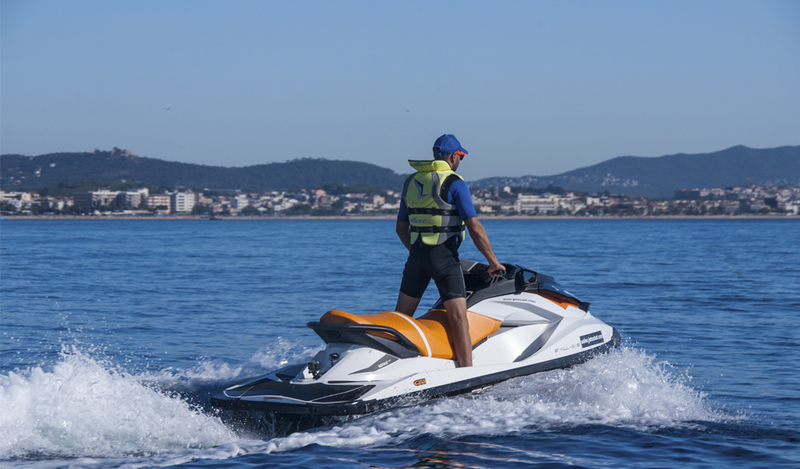 They are easy to drive and you don’t need a licence: an instructor will tell you how to operate the Jet Ski correctly and give you a safety briefing. 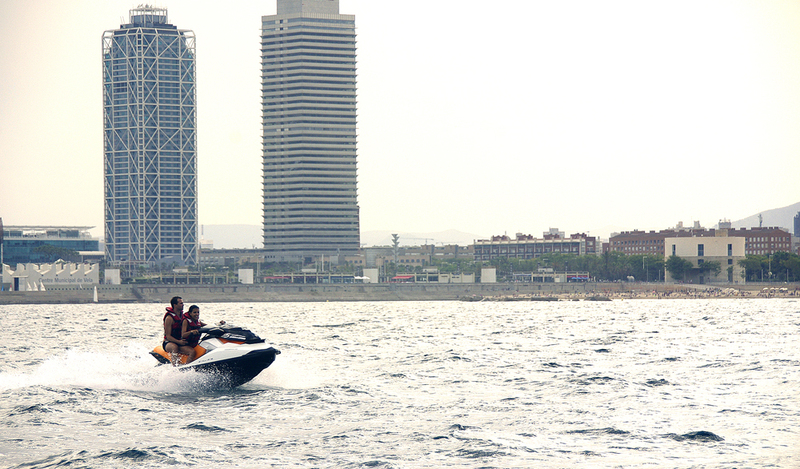 Enjoy the speed, sea and amazing views of Barcelona from the sea. Jet Ski hire according to the chosen length of the tour: 20 / 40 or 60 min. You can bring someone with you (aged over 12) at no extra cost. Briefing on how to operate the Jet Ski safely. All the necessary equipment is included. Time: daily from 10am to 7pm. Length: 20min, 40min or 60min. Meeting point: JetScoot, Moll de la Ronda S/N (Port Forum). Metro: L4, El Maresme /Forum. Bus: B20. Tram Besòs: T4 o T6 Fórum, Port Forum o Campus Diagonal/Besòs stop. All participants must show photo ID or passport. You must leave a 100€ deposit for each Jet Ski hired. We recommend you bring a towel and swimwear. The best time to hire a Jet Ski is from April to October.